£3.99 – 50% OFF Shortfill of the week is Nilla Shake – OG Ice Cream Shake with free shot! 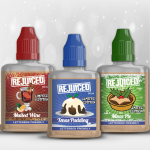 £1.25 – 50% OFF Juice of the week is Twisted! £1.25 – 50% OFF Juice of the week is Creamy Vanilla Custard! £1.25 – 50% OFF Juice of the week is Black Mamba Bacco! £3.99 – 50% OFF Shortfill of the week is Pear Drops with free nic shot! £1 – 50% OFF Juice of the week is Menthol Molotov Cocktail! £3.99 – 50% OFF Shortfill of the week is Coconut Milk – Shortfill with free nic shot! £3.99 – 50% OFF Shortfill of the week is Raspberry Fizz Shortfill with free nic shot! £1.25 – 50% OFF Juice of the week is Dragon’s Milk! 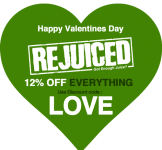 Expired£1 – 50% OFF Juice of the week is Raspberry Rasputin ! £3.99 – 50% OFF Shortfill of the week is Mint Choc Chip Shake – Shortfill with free nic shot! 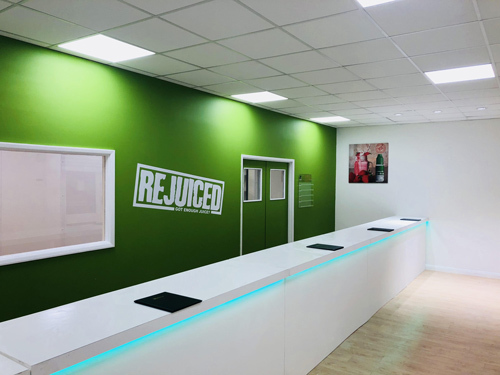 £1.25 – 50% OFF Juice of the week is Lenny Cream! 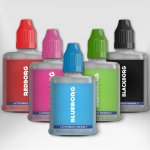 £3.99 – 50% OFF Shortfill of the week is Blueborg – 50ml Shortfill with free nic shot! £3.99 – 50% OFF Shortfill of the week is Strawberry Lemonade – 50ml Shortfill – Tropicoil with free nic shot! £1 – 50% OFF Juice of the week is Sherbet Dumbledore! £3.99 – 50% OFF Shortfill of the week is Strawberry OG Ice Cream Shake with free nic shot! 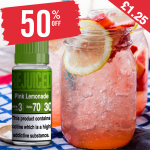 £1.25 – 50% OFF Juice of the week is Pink Lemonade! £3.99 – 50% OFF Shortfill of the week is Mango Cream – 50ml with free nic shot! 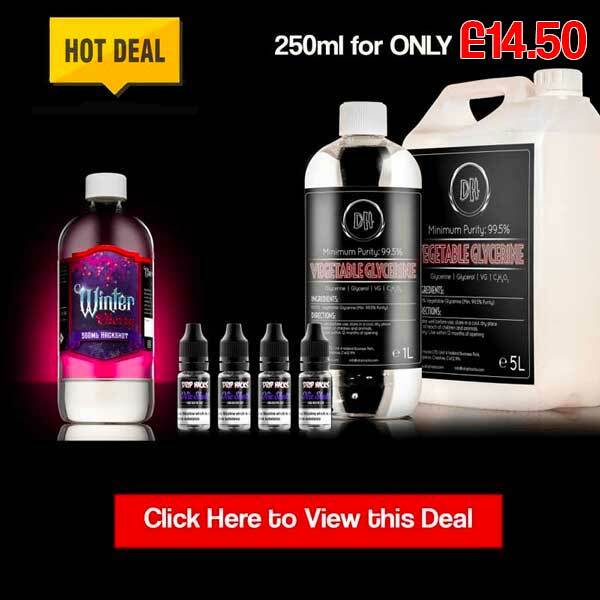 £1.25 – 50% OFF Juice of the week is Unicorn Tears! £3.99 – 50% OFF Shortfill of the week is Caramel & Vanilla Cream Latte Coffee Shortfill with free nic shot! £1.25 – 50% OFF Juice of the week is Big Mama’s Cheesecake! 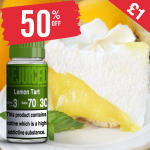 £3.99 – 50% OFF Shortfill of the week is Lemon and Lime – 60ml with free nic shot! £1 – 50% OFF Juice of the week is Loops! £3.99 – 50% OFF Shortfill of the week is Pinkborg – 50ml Shortfill with free nic shot! £1 – 50% OFF Juice of the week is Lemon Tart! 50% OFF – £3.99 Gummy Fruits with free nic shot!